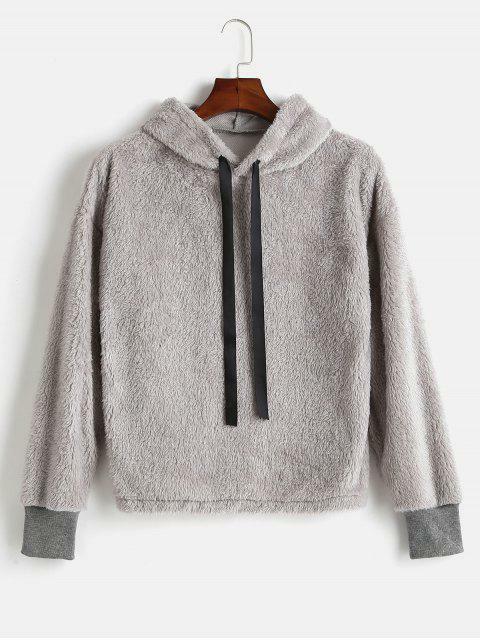 [58% OFF] 2019 Drawstring Fluffy Faux Shearling Hoodie In GRAY CLOUD | ZAFUL ..
love this sweater so much, i wore this the whole winger and it was super warm and soft, extremely cute and fits really well. I love this hoodie it is very soft but it is still pretty cropped i got in a size L and it was fat manning no me and was still a cropped hoodie but i still love it for those cold winter days at the office. 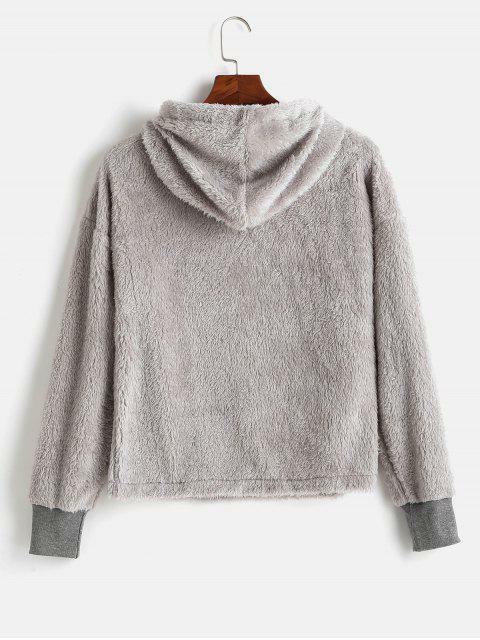 The fluffy fabric is the main element to this teddy hoodie, keep you feeling soft and warm whether you are standing or strolling this chilly season. 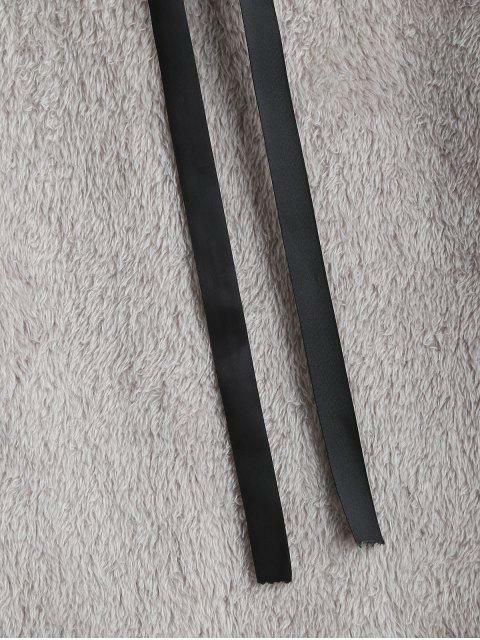 A drawstring design at the collarline. Pair it with any bottom to complete the look.